Spacious 2,314 sq.ft. rancher featuring four bedrooms and two and one half baths in Thornbury Hunt. The Natalie features a very open floor plan for easy living. Standard features include hardwood floors in all living areas, 9′ first floor ceilings, both tray and cathedral ceilings, beaded siding on the exterior along with stone accents and a two car garage with openers, ceramic tile bathrooms, an unfinished bonus room over the garage for future expansion, a sunny breakfast room along with a formal dining room and a spacious owner’s suite with dual walk-in closets and owner’s bath featuring a ceramic shower with bench seat and shower door and soak tub with ceramic surround. 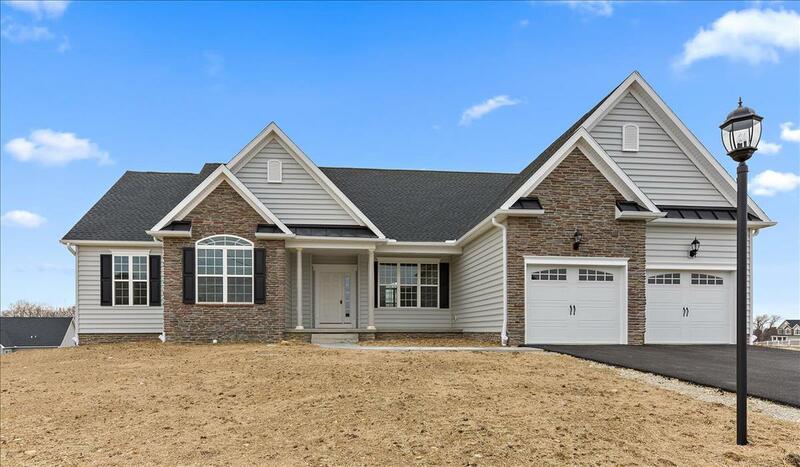 This beautiful home also features a stately stone gas fireplace with barn beam mantle, upgraded carpet and pad in bedrooms, painted kitchen cabinetry, stainless appliances, an oversized laundry room, 12′ x 18′ composite deck and expanded windows. Stop by Thornbury Hunt to view this lovely and open home. Model hours are 11:00 am – 6:00 pm, Friday through Tuesday or call Colleen Rosso for an appointment to fit your schedule at 717-465-2983.